Combining Mono’s signature minimal aesthetic with the latest in technical material innovation, this performance jersey is designed for racing and high-intensity training. 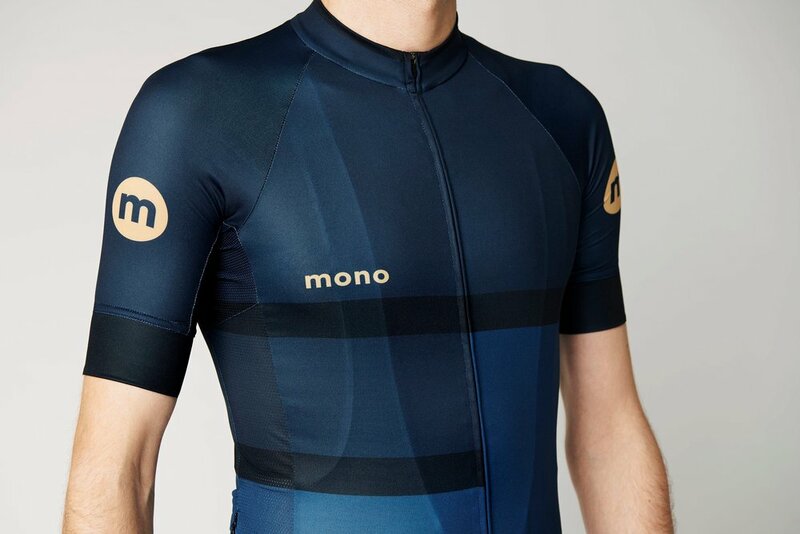 Born out of Mono’s London race team, our signature Waves jersey is lightweight and hugs your body for superior comfort and an aero fit. The exceptional moisture wicking fabrics and micro-perforated underarm and side panels stop your body’s heat from rising even when the hammer drops. Our race cut is designed to be worn tight. If you prefer a more relaxed fit then we advise to go up a size.